In spite of serious concerns regarding resettlement issues, the Dai Ninh Hydropower Project moved forward. While the produced electricity benefits Vietnamese growing urban areas, social and environmental costs are largely carried by ethnic minorities. 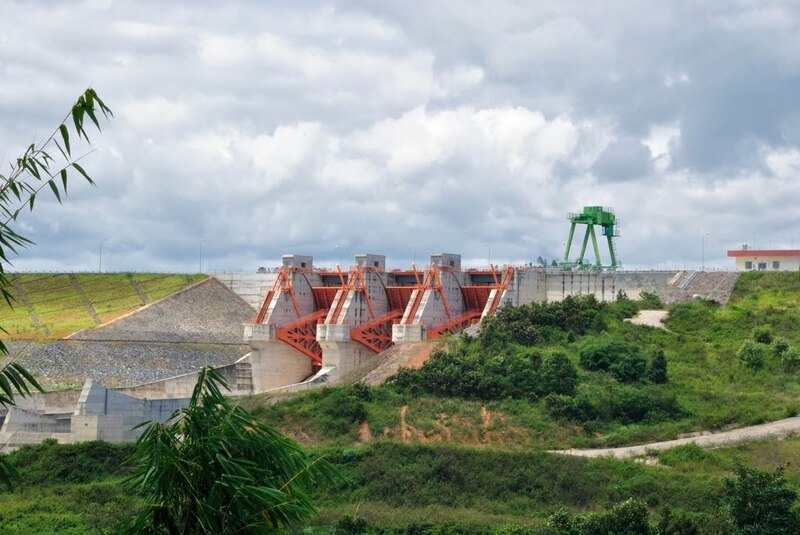 In order to serve the country’s growing demand for electricity, the government has planned and established a series of hydroelectric projects along Vietnam’s rivers. Among these projects is the 300MW Dai Ninh Hydro Plant, located on the Dong Nai River, a main tributary of the Saigon River. In spite of serious concerns regarding the dam’s impact on people and the environment, the project moved forward and was commissioned in 2008 [1;2]. In 1995, the World Bank funded a feasibility study on the dam , which was completed in 1997 . In parallel, also the Canadian International Development Agency (CIDA) funded a feasibility study in 1996, which however was kept secret for a long time. In spite of official requests for public release, such as through Probe International, the study was not made available to the public. Concerns on the project’s impacts on people, environment and biodiversity increased and were voiced by national actors, such as the Ministry of Agriculture and Rural Development (MARD), as well as international institutions, such as the World Conservation Union (IUCN). Citing serious concerns regarding forced evictions and lack of adequate resettlement plans, the World Bank decided to decline to provide project funding [1;2]. However, Vietnam found other donors: on March 30, 2001, an agreement with Japan's Official Development Assistance (ODA) was signed and it was reported that the Japan’s Bank for International Cooperation (JBIC) provided loans covering 85% of the estimated 440 million project [1;2]. Construction started in 2001/2002  and the dam was commissioned in March 2008 . Following years of experiences with large dams, impacts are expected to be devastating. Environmental impacts generally include a drastic modification of riparian and aquatic ecosystems, blocking of fish migration routes, deforestation, and decreasing water quality, leading to a loss of habitat and species, among others. Socio-economic impacts include dispossession and loss of locals’ livelihood, as well as loss of cultural places and spiritual sites of ethnic groups. For the construction of the Dai Ninh dam, it was reported that up to 14,000 people were forcefully resettled to make place for the 1,900ha reservoir [1;2]. Many of the displaced people have been ethnic minorities, i.e., K'ho, Churu; Chil; Cham, and Raglai ethnic groups. Tens of thousands of villagers downstream were expected to face negative impacts on their livelihood, largely depending on natural resources and riparian ecosystems [1;2] While the dam may serve Vietnam’s growing demand for electricity, particularly caused by rapid urbanization processes, environmental and social costs are largely carried by the rural populations and Vietnam’s ethnic minorities. Project Details The Dai Ninh hydroelectric plant has an installed capacity of 300MW, provided by two turbines of 150 MW each. Annual electricity production was reported to amount to 1.2 billion kWh per year. It is a multipurpose project that also provides irrigation infrastructure to the surrounding areas . The total project size amounts to 2,000ha, 1,900ha of which are covered by the reservoir. Around half of the reservoir land was agricultural land, the other half contained forest land . The dam is operated by Vietnamese state-owned company EVN (Eletricity of Vietnam) . A feasibility study was financed by the World Bank in 1995 . The Environmental Impact Assessment (EIA) and the Rehabilitation and Resettlement plans were conducted by the Vietnam Power Investigation and Design Company No.2 (PIDC 2) and the Italian Lotti & Associati company . Another feasibility study was financed by the Canadian International Development Agency (CIDA) in 1996 . It was conducted by the engineering consultant company SNC-Lavalin . The total investment cost was estimated to amount to 440 million USD. The dam was largely funded through Japanese Official Development Assistance (ODA). 85% of the investment was provided through a loan from the Japan Bank for International Cooperation (JBIC), the rest was provided by the Vietnamese government . The project was constructed by Japanese Hazama company and a Japanese-Vietnamese Joint Venture Kajima-Kumagai-Gumi-Song Da Corporation . Technical equipment was reportedly designed, manufactured and installed by Toshiba and Nissho Iwai. Project consultation was provided by Japanese companies Nippon Koei and Electric Power Development Corporation . It was reported that up to 14,000 people were forcefully displaced, and that several tens of thousands livelihoods were negatively affected . Why? Explain briefly. The project goes on.